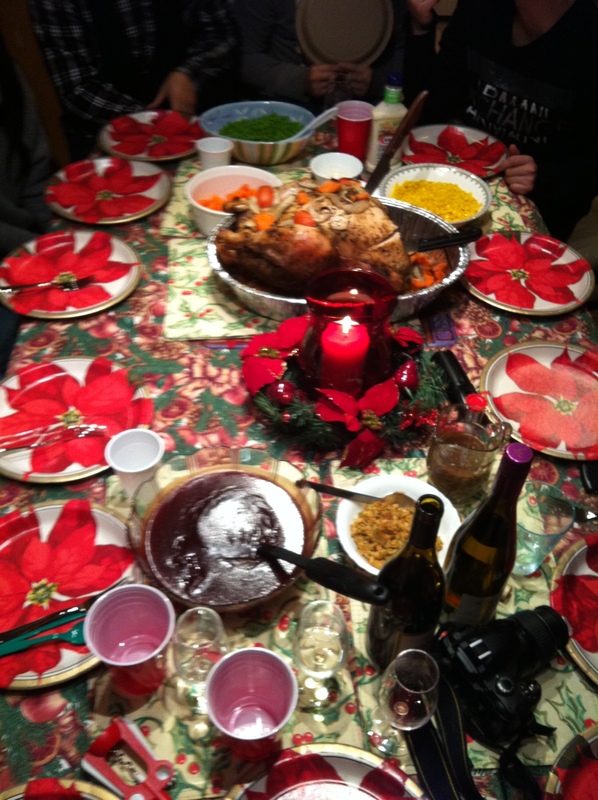 So my friends decided that we needed to have a ‘legit’ Christmas dinner as we have not had one throughout the years. Yesterday was when it happened! To begin, my part in the preparations were really small, so many thanks to those who went a day early to prepare! And thank you Edna for letting us do it at your house! Everything was delicious and overall and it was really fun! The main part of the dinner consisted of all the regular Christmas food: Turkey, peas, corn, mashed potatoes…you know, traditional Christmas stuff. I do not think I have had such a ‘legit’ Christmas dinner for either a very long time, or never at all! 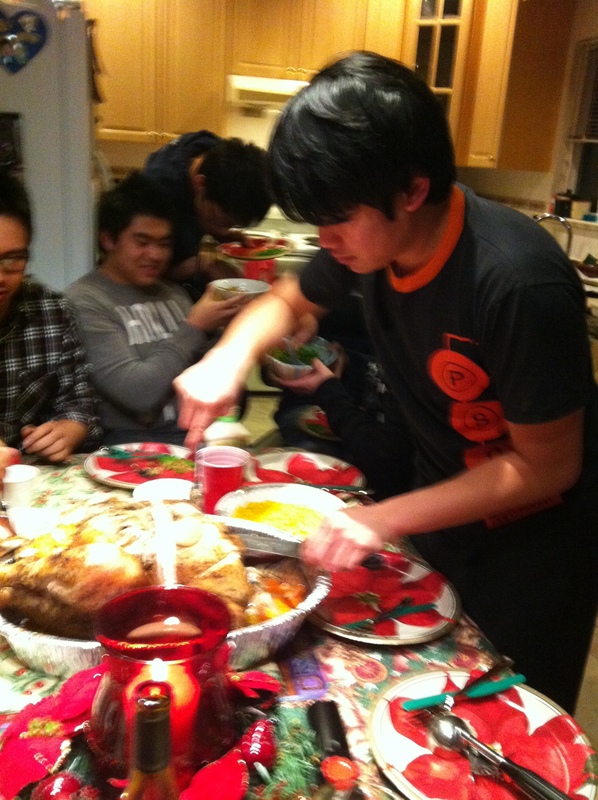 Being asian, Christmas dinner always consisted of somehow incorporating rice or some other asian touch to the dinner! 😛 After dinner came dessert– and this is where I wished I saved more room in my stomach. 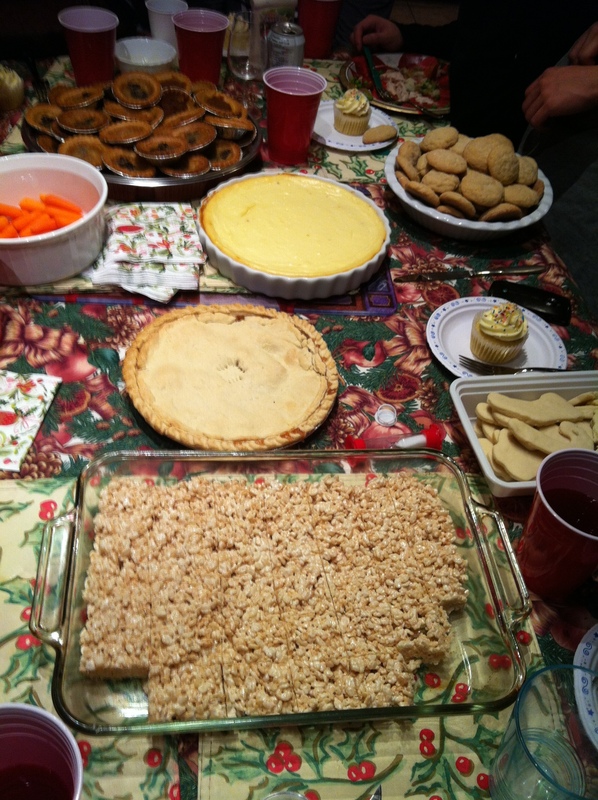 There was three times as much desserts as there were for the main course! Butter tarts, pumpkin tarts, cupcakes, cookies, cheesecake, apple pie..the list goes on! But I was so full by the time dessert was out that I could only sample a bit of the overall selection! After dinner we all headed out the the living room to watch Christmas movies and play some games. 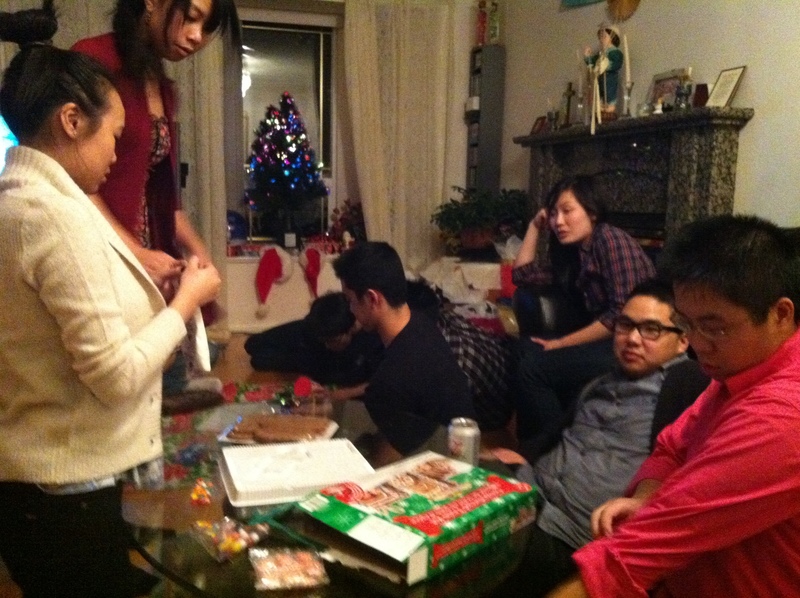 We had a gingerbread making contest! It was super fun and to make it more challenging, we had a 20 minute time limit. We were also only allowed to use one hand per person. Of course, these were pre-made gingerbread and we just had to assemble and decorate it. Connie and I reunited thebomb.com and David and William joined us. 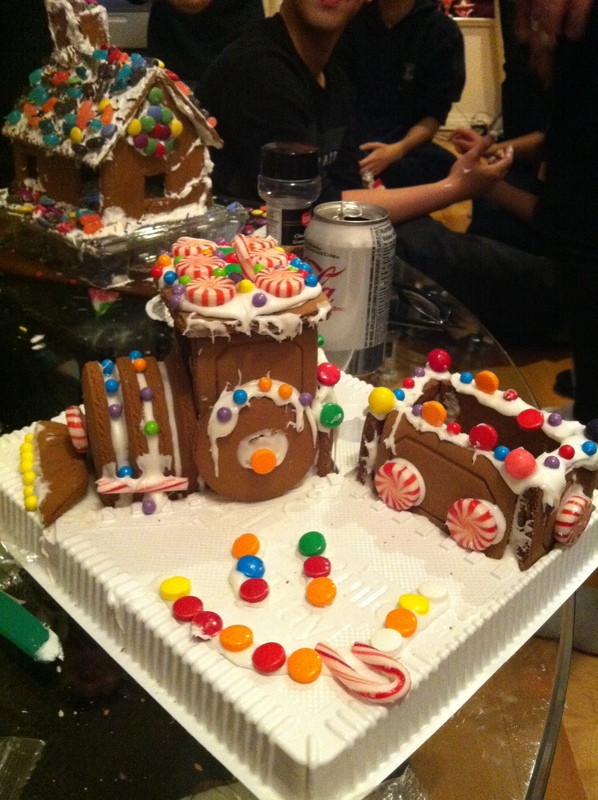 Although we did not win, it was still fun to build a gingerbread house (well, train really)! I haven’t built one in ages! I think the last time I did was almost six years ago! You know I got serious when I tie up my hair and am not sitting down, being my usual lazy self.